Why I chose to make Vitamin C serum? Vitamin C is known to be the best anti-oxidant for your skin. 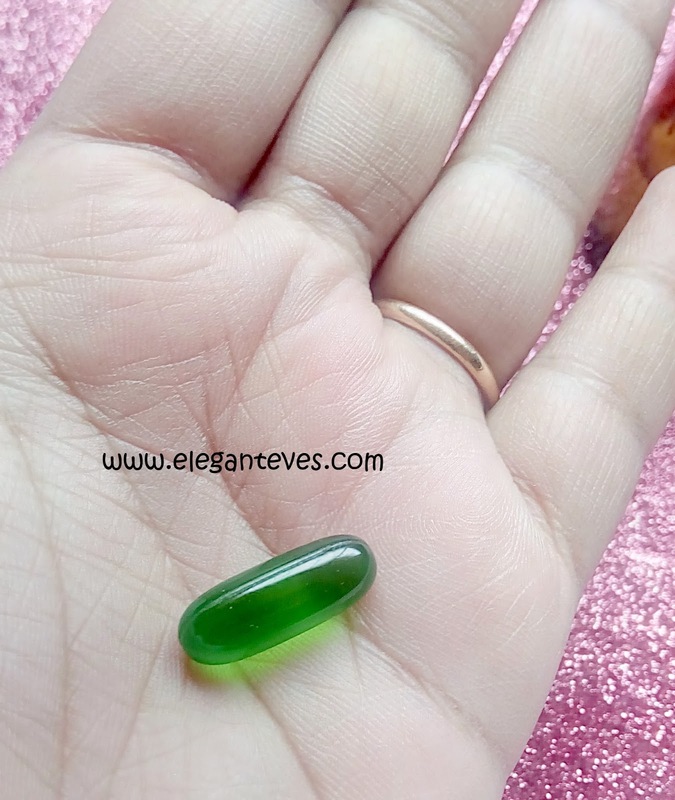 It brightens skin, fights blemishes and slows down ageing. But unfortunately, Ascorbic Acid (Vitamin C) is unstable and loses all its potency when stored for too long. 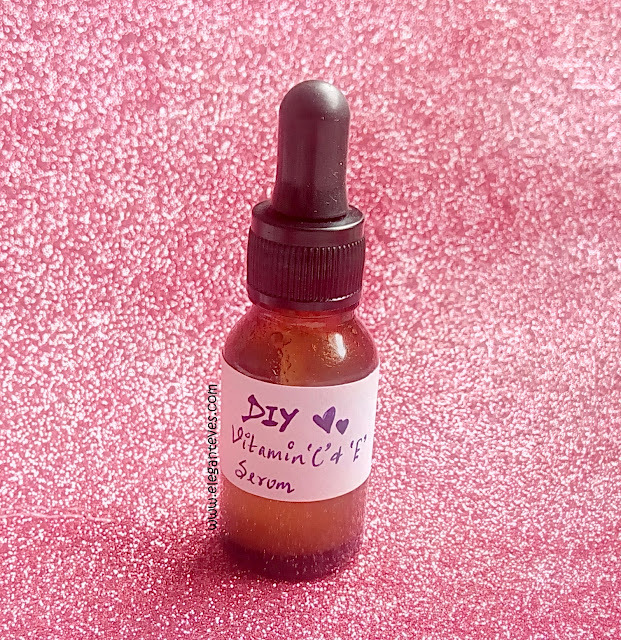 So it is highly possible that the high-priced Vitamin C serums have long lost their actual effects even before the bottle reaches your dresser. 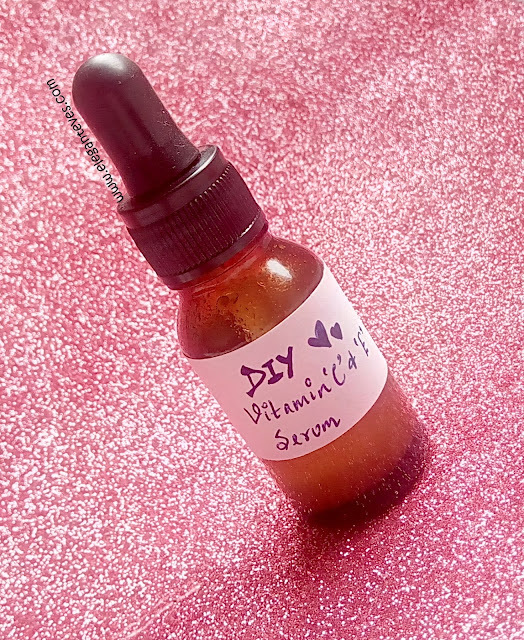 So, I decided that one way to avoid that will be making my own vitamin C serum in small batches that I can use up in a week and then make a fresh batch again. 1. 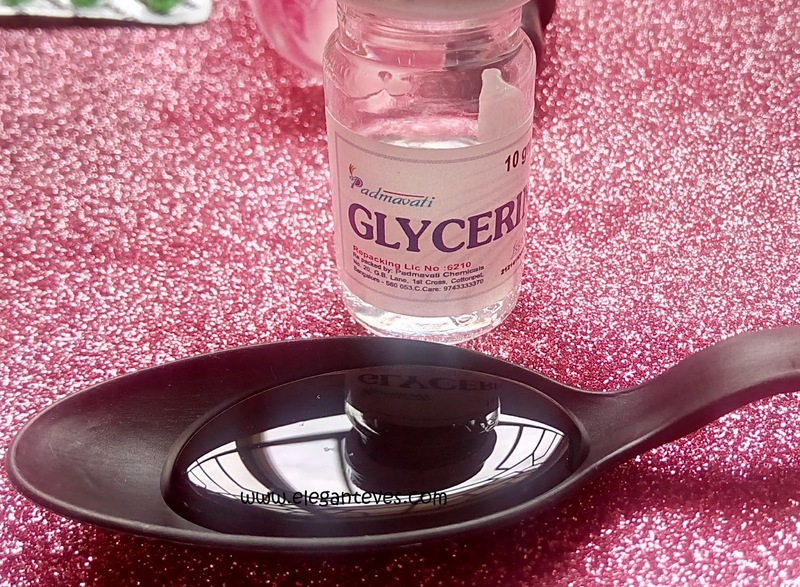 Add a teaspoonful of glycerine into the sterilized bottle. Use three-quarter of the spoon if it is a larger size. 3. Shake both the liquid together and now drop in two tablets of Celine. 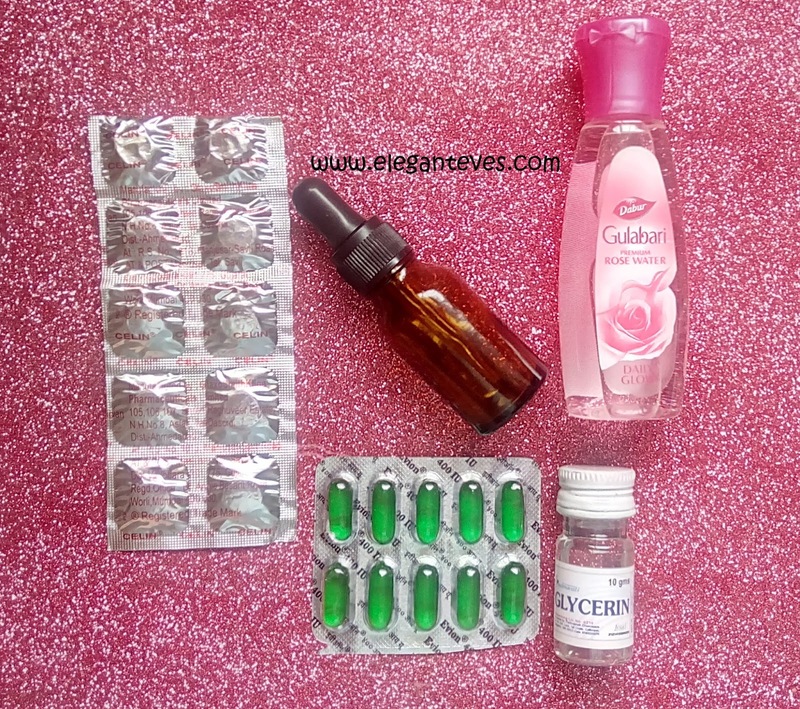 If your bottle is a 15ml one like mine, you would need to break the tablets into half. Don’t bother powdering the tablets because they will melt anyway. 4. Gently keep shaking the bottle until the tablets dissolve. You might see powdery grains around the inner walls of the bottle but they will melt soon. Don’t worry! 5. Finally, use a clean needle or safety pin to pierce holes into two Vitamin E capsules and squeeze the oil into the bottle. 6. Shake, shake , shake baby ;) Store the bottle in a cool, dark place away from sunlight when done. 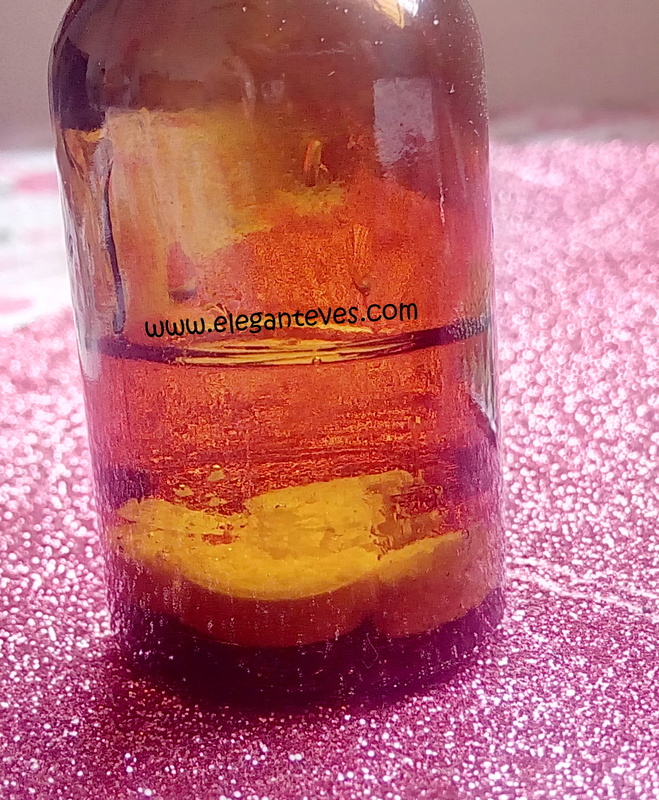 Your very own Vitamin C and Vitamin E serum is ready :D The quantity should last for about a week when used daily before bedtime. The bottle will require a shake before every use because there might be some sedimentation. 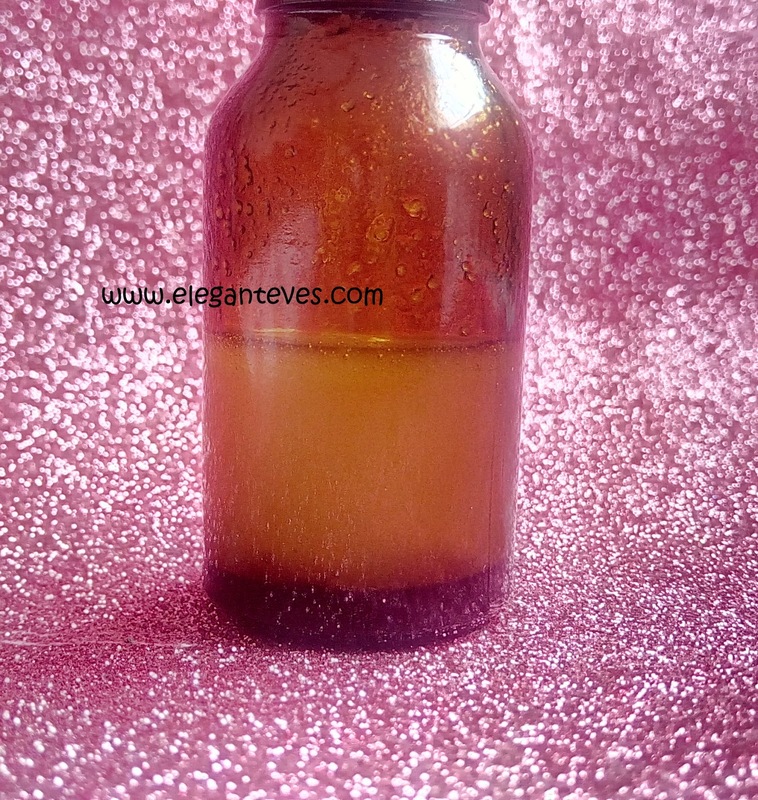 The serum will appear whitish inside the bottle but will be clear like this when on your palm. 1. Make sure you don’t contaminate the bottle or any of the ingredients by touching them unnecessarily while pouring them into the bottle. 2. Always test the serum on your inner elbow and back of your ears for any sensitivity before you apply to you entire face and neck. Wait for 24 hours to see signs of irritation. 3. People with highly sensitive and broken skin (wounded or open scars) should avoid this. 4. 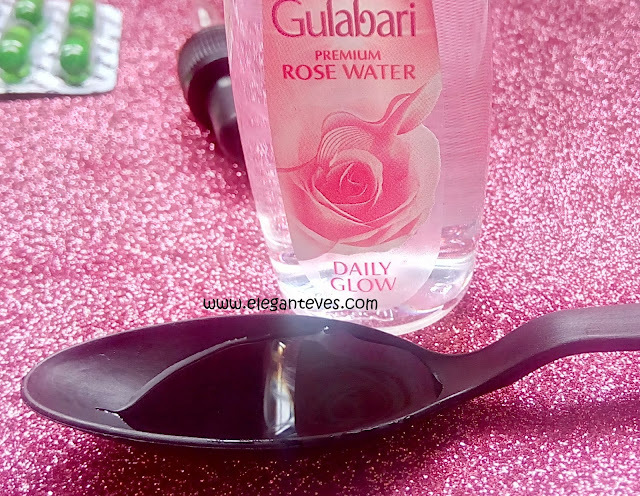 Oily skin people can lessen the quantity of glycerine to half teaspoon and Vit E capsules to one instead of two. 5. 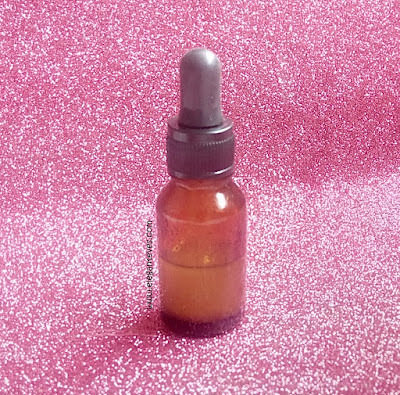 You may also make this serum with one tablet each of Celine or Evion and later on increase the potency once your skin adjusts to this serum in a week. 6. 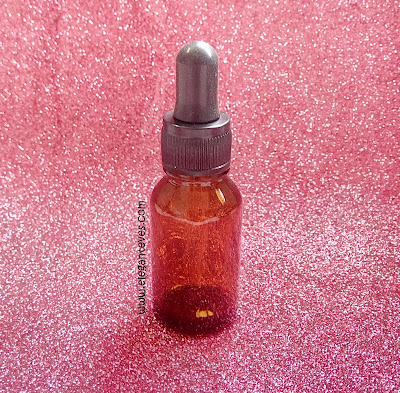 Don’t step out in sun with this serum. This is strictly for bedtime and please use sunscreen before you face the sun next day. I shall be using this serum for two months and then update this space for developments and results. But for now, I had applied this serum last night on cleansed face last night and this morning I woke up to smooth and supple skin :D The glycerine does make it tad tacky ever so slightly but I don’t mind that at all. 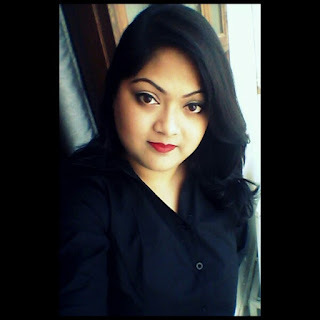 My skin didn’t break out into angry red pimples and I feel fresh and there is no oiliness. A slight tingling sensation is felt initially for two to three seconds after application but that feeling subsides very soon.If you feel any discomfort then please discontinue use. Stay tuned to this space for more interesting stuff!